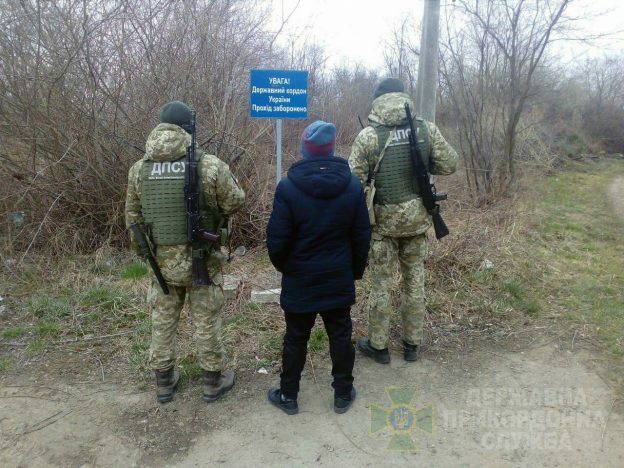 The border guards of Chop Detachment detained a group of unknown nearby the village of Onokivtsi. The offenders were revealed by the border guards of the BU “Uzhhorod” during their service in the area. The soldiers noticed two men breaking the fence. The reaction group arrived at once to stop and detain the foreigners. Both were Turkish citizens and had foreign passports. And at the state border on Poland, the border guards found another seeker for a better life from Central Asia. The vigilant resident informed the border guards about appearance of unknown persons in the border area. Soon, nearby the border engineering structures it was managed to track the possible perpetrator. The detainee was a citizen of Uzbekistan, according to his words, as he had no documents. In both cases, in order to bring to justice for the attempt to illegally cross the state border of Ukraine, to clarify all the circumstances of the offense, the foreigners were taken to the border units. This entry was posted in Translated Media-News from Ukraine on March 22, 2019 by oksana.